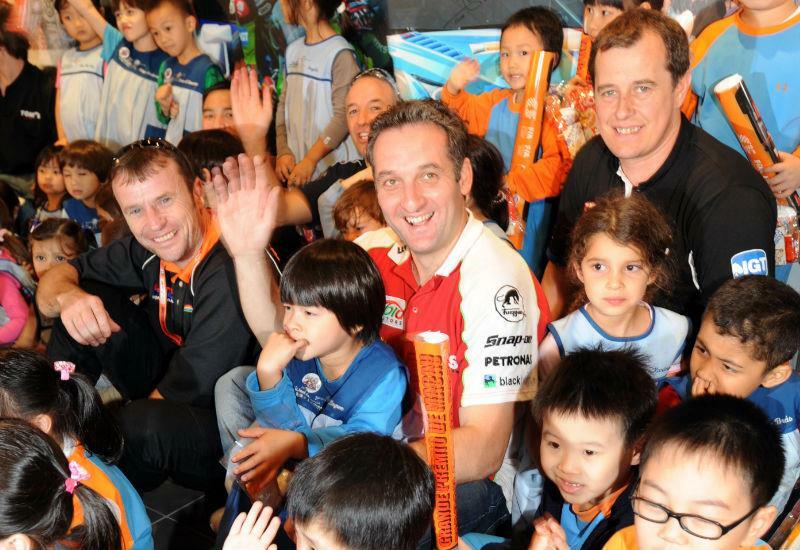 Practice begins at 7.30am this morning (Thursday) for the 45th Macau Grand Prix in China. Michael Rutter, riding his Riders Ducati in the red, white and blue Team of Paris livery will start as favourite and if the 39 year old does triumph he will become the most successful Macau racer ever. At present the Birmingham rider is tied on six wins each with Ron Haslam. 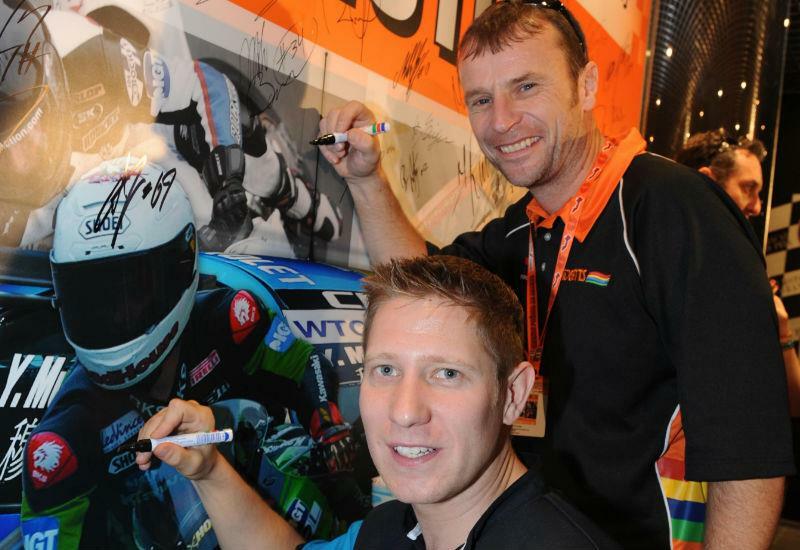 Rutter hasn't won in Macau since 2005 but with the winner of the last three years Stuart Easton ruled out of this year's event by the injuries he received at the North West 200 the field is left open for the Ducati rider to take the record. His main competition will probably come from TT legend John McGuinness riding a Roadhouse SMT Honda or last year's podium finisher American Jeremy Toye who will be on Tom Syke ZX10 Kawasaki. Ian Hutchinson makes his return to racing on the Swan Yamaha after a year on the sidelines because of his horrific leg injury. 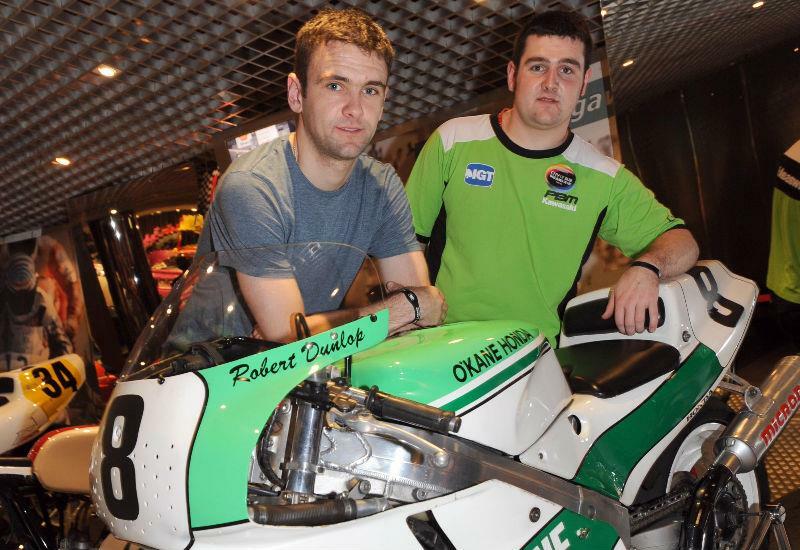 2011 Superstock TT winner Michael Dunlop (PBM Kawasaki) and his brother William (Craig Honda) will make their debuts this year in a race their father Robert won in 1989. But perhaps the darkest horse of all will be Superpsort TT winner Gary Johnson who rides Josh Brookes Relentless Suzuki painted in IGT colours for Macau. Other Brits in the field are Conor Cummins (Kawasaki Racing Team), Stephen Thompson (Roadhouse SMT Honda), James Hillier (Bournemouth Kawasaki), Martin Jessop (Team of Paris Ducati),Paul Shoesmith (PB Motorsport BMW), Jimmy Storrar (DMR BMW), Steve Mercer (Jentin Honda) and James McBride (PBM BMW). The race is scheduled to be run on Saturday afternoon but with a typhoon forecast for the former Portuguese colony this weekend there are fears that racing may be disrupted. The race is never run in wet conditions.